The roaring Twenties are known for iconic interiors and lavish parties, which is why it makes such a fantastic theme for a celebratory event! Major economic growth created big changes in social, artistic and cultural lifestyles, Motion pictures became big and celebrity culture was born, the media tended to focus on sporting heroes and movie stars; after all, this was the birth decade for Marilyn Monroe, Judy Garland and Grace Kelly. However, it was the prohibition of alcohol in the U.S in the 1920's that gave rise to the crazy parties known as the 'Speakeasies'. Hidden establishments popped up all over and you were often asked for special passwords to gain entry (something that might be quite fun to put on a party invite!) The Ladies, otherwise known as Flappers, wore beautiful drop-waist dresses with feather headbands and danced the night away to the soft sounds of Jazz. 1920's party decor can be achieved fairly easily and needn't cost a fortune. The trick is to pick inexpensive, but iconic accessories that you can dot around the room. However, there is one key ingredient that needs to be implemented right from the start and that's music! If you want all of your lovely props to stand out then you need to set the scene with your best speakeasy Jazz selection. Second to this are the Manhattan cocktails, which should be handed out to guests on arrival. Glassware is a fantastic way to add glamour and crystal effect glasses are pretty easy to come by, most charity shops have them. My little tip is to stick to clear glass, that way you can mix and match your sizes and styles. You can also use pretty tea-cups and saucers as this was the traditional way to serve alcohol at Speakeasy parties. Rabbit & Rose offer a great vintage tea hire service. 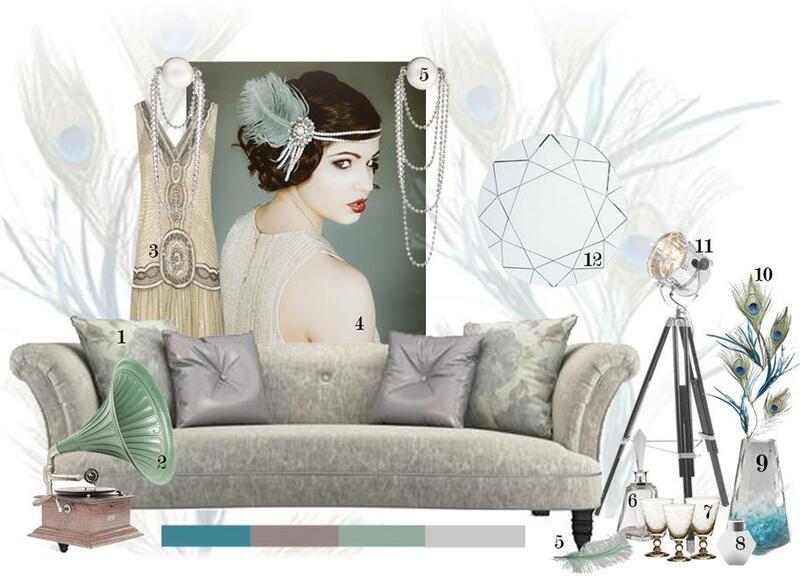 If you already have a 1920's style sofa then great, we have suggested the Concerto in Mink as it works beautifullywith a vintage colour palette. 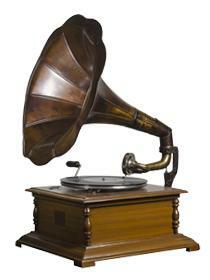 For a slightly theatrical touch, why not hire a 1920's repro gramophone; you could even opt for a giant size one if you have the space. The dresses and jewellery are where you can make a real impact, raid the charity shops for glittery dresses and then hang them up at various points around the room. It's unlikely that you will find any real vintage numbers but my top tip is to drape them with lots of pearls, you can purchase these from most charity shops or buy 10metres online for as little as 10p. If you're feeling really creative then you could even make your own flapper headbands, simply clip a few beads and feathers to a piece of black elastic and tie a knot, which brings me onto my next prop - feathers! They featured heavily during this period and could be found on purses, bags, clothes and scarves. My suggestion would be to order some online and then create your own display, either make your own fan or display them in a vase. Peacock & Ostrich feathers are the best due to size and colour.